Just recently Terminus Team made their 1993 game ' Robouldix ' completely free to download for the Amiga. It was an arcade puzzle game in a similar style to that of Boulder Dash, albeit with dynamite, mines and featuring up to two player explosive antics. In our opinion from our full article available here, it was an enjoyable game to play with tons of levels, nice music and it really makes you think before you blow up that next stick of dynamite. Sufficed to say a game you should try at least once, and thanks to Flashtro you can download the game again but this time with cheats. Named as ROBOULDIX 1993-2016 (+5) Trainer. 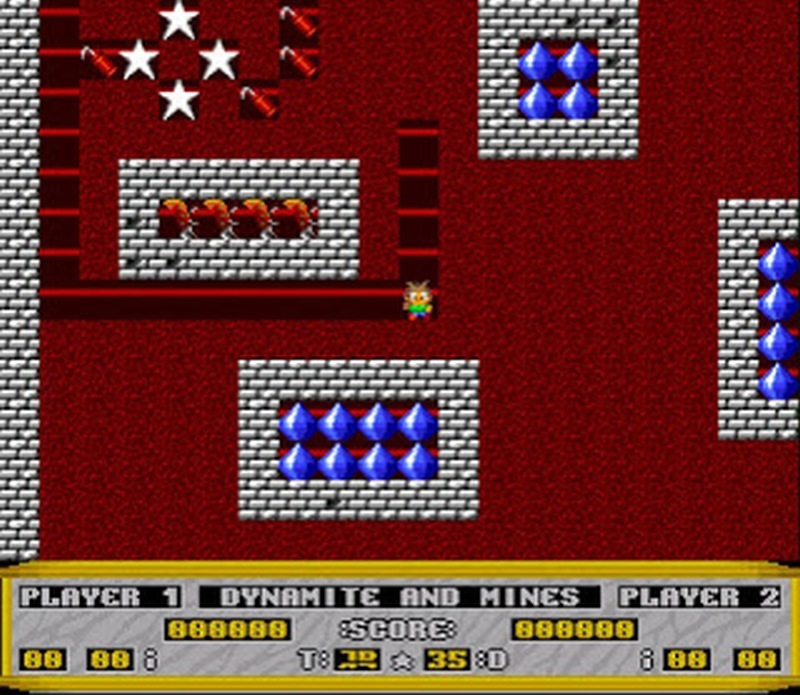 This download features Unlimited Lives, Unlimited TNT for both player 1 and 2, only needing 1 gem to finish a level, and a skip level button if you are struggling to get past that next stage. But before you start cheating to your hearts content, listen to the Flashtro tune, it's pretty decent.